Angiomas are benign growths that occur sporadically on the face, neck and body. 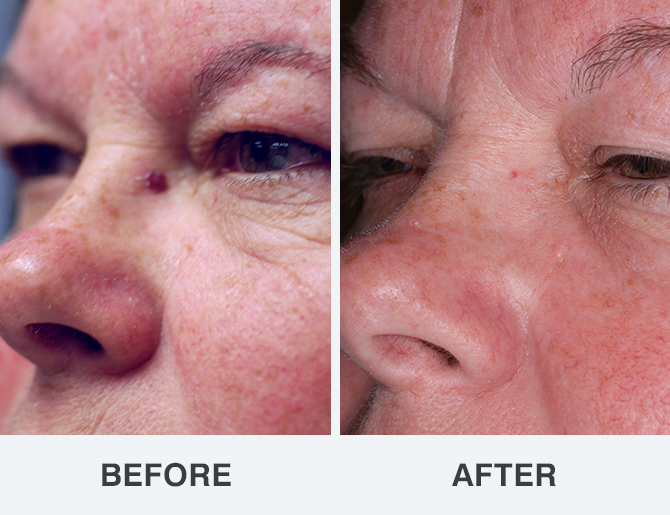 The most common form, cherry angiomas, can be successfully removed by the gentle Aura Laser which vaporizes the blood cells causing the vessel wall to close down and heal. Click any before & after photo below for a closer look.